Decks are a beautiful extension of the house and they add living space in the summer. 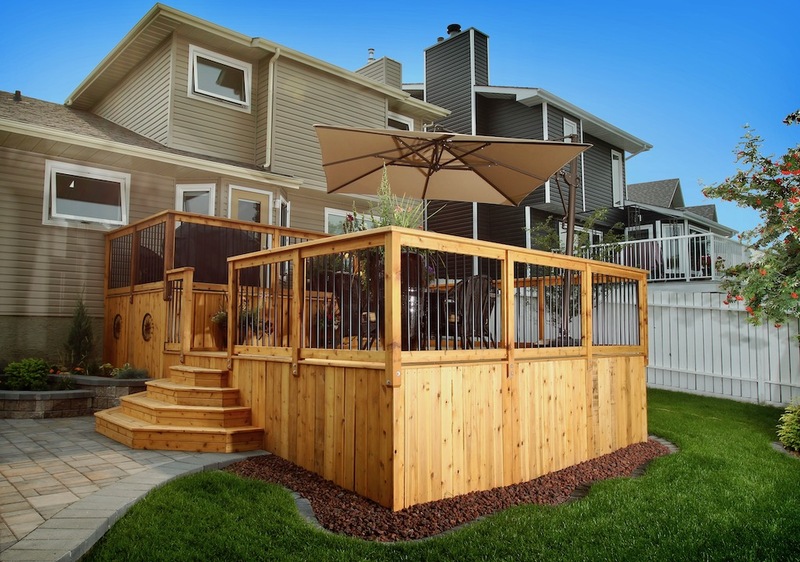 Assiniboine is a Calgary deck builder and we approach each one with the idea that this is where you spend quality time barbecuing, entertaining and relaxing. 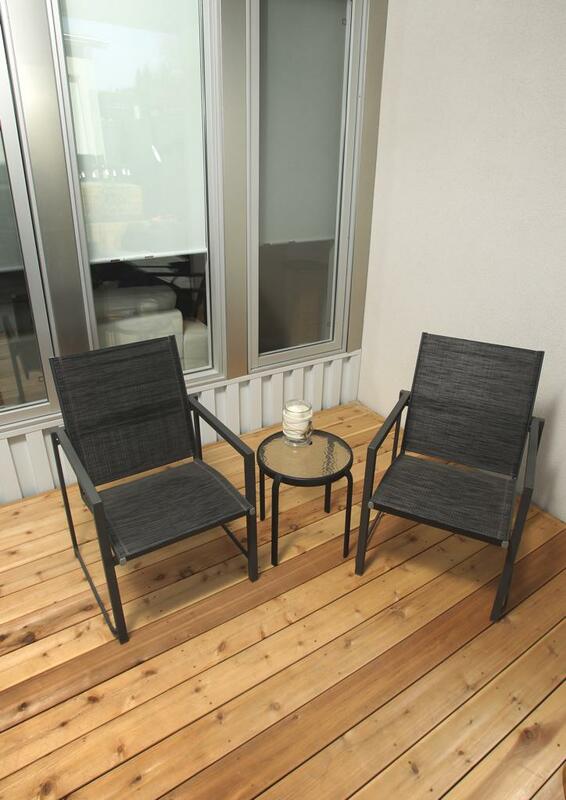 The expert team at Assiniboine Lights & Landscapes builds custom decks from traditional wood deck build with pressure treated wood or cedar, to vinyl and composite decks. Once the deck is built, it needs to be finished off with hand railings. There are several varieties of railings to choose from for your deck. 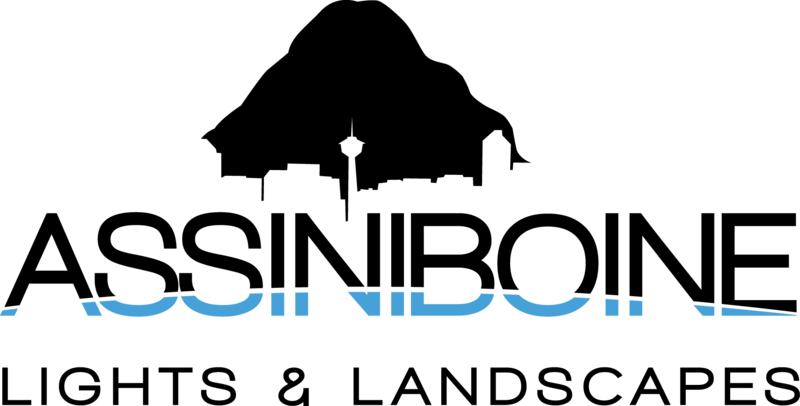 Deck railing options include, wood rails that can be built in a number of styles. Also, you can consider lower maintenance aluminum railings or the use of glass and aluminum railings to provide a more open and spacious atmosphere. Decks can be constructed up to 2’ above ground without a permit. If a permit is required, permitmasters.ca can expedite the permit process. Deck railings must be 42” high to meet building codes. Deck skirting is an excellent way to ‘finish’ a deck off. Ideally, decks and fences should be constructed using the same materials. Deck construction always starts with a pressure treated wood frame, then can be finished with pressure treated cedar, vinyl or composite decking. Decks should always be constructed on cement pilings with no wood under the soil. Skirting or weed fabric and gravel can be used under decks to create a ‘clean’ finish.